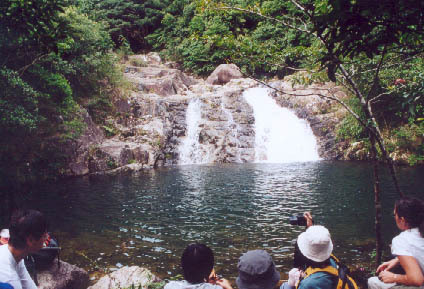 TaiShing Stream is one of the most popular streams in Hong Kong. It is relatively easily accessible too. 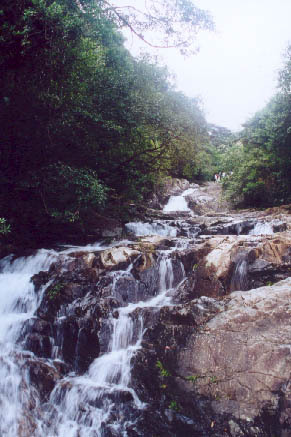 It is one of the major water supplies of Shing Mun Reservoir (城門水塘). It lures many visitors throughout years. This stream could be divided into 3 portions. -The lower stream starts (190M) from the entrance to first exit(275M). -The middlle stream starts from the first exit to the second exit (455M). 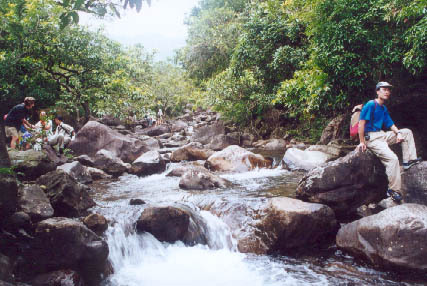 -The upper stream starts from the second exit up to the various origins of this stream. The lower stream is rather flat. This portion is scattered with many boulders (i.e. big rocks) and small water pools. It is rather prosaic. 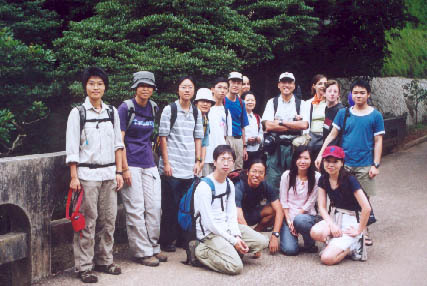 The first exist is a relatively wide and flat area, many hikers set up theirs cooking stroves there. The middle stream improves a lot. It embraces sizable water pools and staircase-like waterfalls. This web page is going spend more description for the middle stream. After the second exit the stream goes harsher. Note: this stream has claimed casualty before, please respect the stream especially in rainy days. This was the bridge where we had started the journey. One can get into the stream on either ends of the bridge. A view in lower stream. This rock is inscribed with a Chinese word "pretty". Or you could dive in to have water fun. It is deep and cool. It is irresistible in summer time. 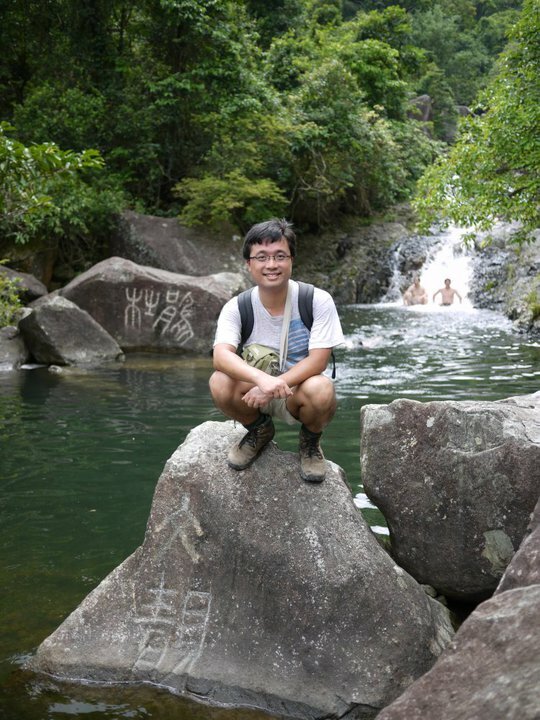 This interesting rock is called the Mountain Bird Rock (山鳥石) which has about 4M in height. I was told this rock looks like a big bird. What do you think? 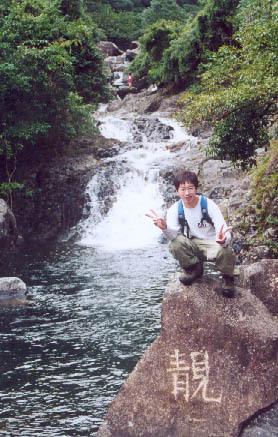 At this point, you will find a beautiful waterfall on your right joining the TaiShing Stream. 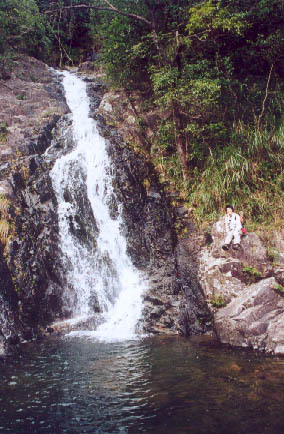 This is called Huang Mu Waterfall(黃母瀑). The pictures here only exhibit the lower portion of the waterfall. As a matter of fact, this waterfall has a very long trace. 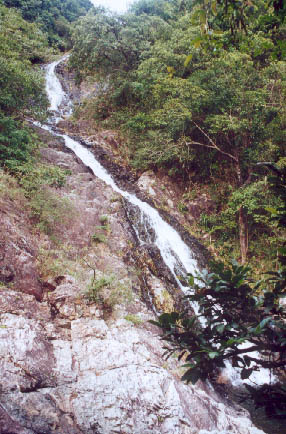 This is a broader view of Huang Mu Waterfall. 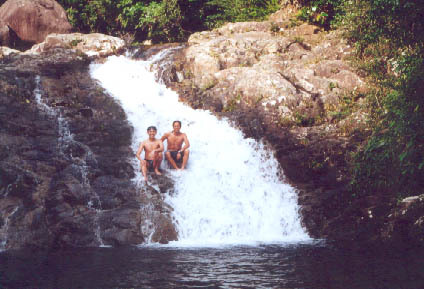 This is the biggest and possibly the deepest waterpool in this stream. It is called Maple Leaf Pool(楓葉潭). Vivid water running over bony rocks. This rock flags the second exit. You could leave the stream on either left or right. 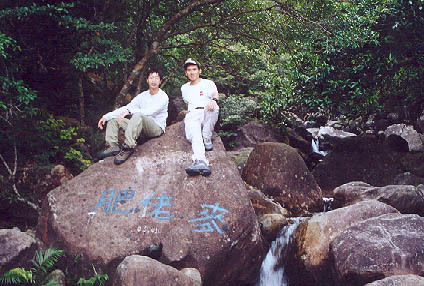 The Chinese words on the rock say "Fat Man Mak". Who is that fat man? I don't know. Should you know, please tell me. 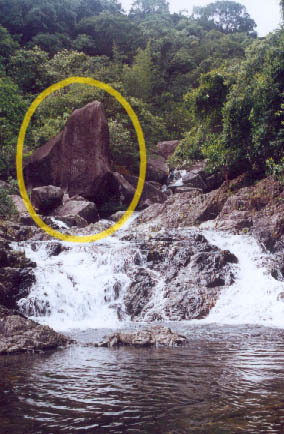 Behind this rock is the upper stream.